Red Battery Dash Light ON! Coincidence or did this weekend's surgery go wrong somehow? Got the spacer and fuel rails installed. Fired it up and got a red battery light. 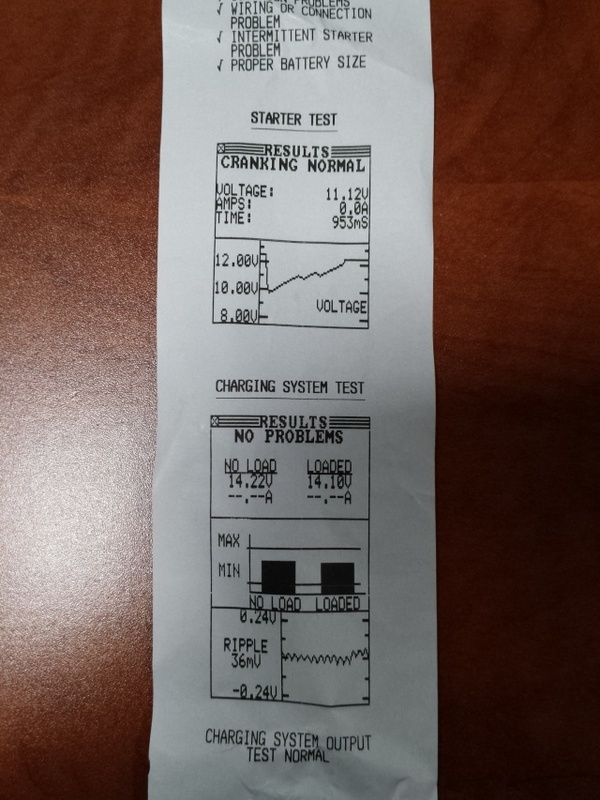 While running, volts are 13.7-13.9 with blips of 14. Drove for ~50 miles with the battery light on and the voltage never dropped significantly. Gotta find my voltmeter so i can test the battery and the alt, but how do you test the alt? It seems to start and run fine. I figured if it was the alt the battery would have died by now but its still starting and running fine with volts @ 13.7-13.9 with blips of 14. Did you forget to plug in the sensor wire that goes to the alternator? It's definitely working if you're getting voltage that high. No. It's plugged in. Wish it would give me a SES light so I can check a code. The red battery light is saying, "you've got an electrical issue. Good luck, see ya!" She's running better than ever before! WTF red battery light?! Well I guess it's time to start probing fuses. I'm sure Abaddon or somebody could chime in with some other ideas as well. I'm sure Abaddon or somebody could chime in with some other ideas as well. You should have a code(s) if the light is on. If your "scanner" won't read it, you need someone with a better scanner or a Tech II. The Battery light codes show up in the BCM, not the ECM. Dang. Advance said they couldnt scan it. HPT doesnt show anything for it. Advance ran their diagnostic whatever on my battery and alt. Test came back good to go. Riv starts up perfect and runs fine with everything turned on high. But the red light wont go away. What if you just disconnect the battery for an hour or so? Yes. that was my next plan of action. I actually just found my socket wrench for the battery in the back seat so I will go do that now and check it later before I leave work. the battery light turns on about 5-10 seconds after the car is started. Gonna start tracing lines and cleaning connections when I get home. When we scan for volts, is that reading from the alternator? Here's GM's complete rundown on that light always being on without codes. Did you perform the Charging System Check ? 1. Connect a scan tool to the data link connector (DLC). 2. Turn the ignition switch to RUN. 4. Using the scan tool, monitor system voltage. Is the measured voltage in the specified range? 1. Turn the ignition switch to OFF. Did the charge indicator turn on, then turn off after the normal bulb check? Is the vehicle a Buick? 1. Turn the ignition switch to RUN. 2. Start the engine and keep the engine running at fast idle. 3. Disconnect the battery thermistor connector, located near the battery. 4. Using a J 39200 digital multimeter (DMM) set to DC volts scale, measure the voltage across the battery terminals. 2. Using a DMM set to DC volts scale, measure the voltage at battery thermistor connector terminal A (body harness side). 1. Check the BATT THER fuse for an open. 2. If the fuse is open, repair CKT 540 (ORN) short to ground. 3. If the fuse is OK, repair open or high resistance in CKT 540 (ORN). 1. Disconnect the generator connector. 2. Connect a fused jumper from generator harness connector terminal S to ground. 3. Connect a DMM set to ohms scale between the battery thermistor connector terminal B (body harness side) and ground. Is the measured resistance in the specified range? Repair high resistance or open in CKT 725 (LT BLU). 1. Check the battery thermistor connector for poor terminal contact. 2. If OK, replace the battery thermistor. 1. Turn the ignition switch to LOCK. 2. Disconnect the powertrain control module (PCM) connector C2. 3. Turn the ignition switch to RUN. 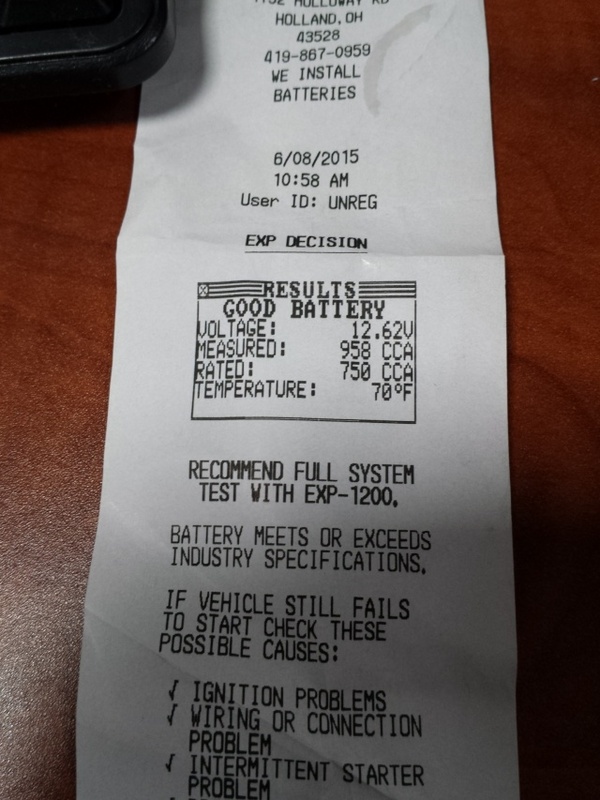 Did the charge indicator remain on after the normal bulb check? Replace the instrument cluster. Refer to Instrument Cluster Replacement in Instrument Panel, Gauges and Console. Check CKT 225 (RED) for an open or short to ground. Repair the open or short to ground on CKT 225 (RED). Check CKT 23 (GRY) for an open or short to ground. Repair the open or short to ground on CKT 23 (GRY). 1. Check the powertrain control module (PCM) connectors for poor terminal contact. 2. If OK, replace the PCM. Refer to Powertrain Control Module Replacement/Programming in Engine Controls. 1. Make sure any components removed during diagnosis are installed in place and that all connectors are connected. 2. Repeat the system check. Refer to Charging System Check. Is the system check complete? God bless you, Mr. Scott. I will go through this as soon as I get home. I'll have to go and find the circuits they talk about for you. I'll edit this post when I find them. Thanks for your help, Scott. I got home and did troubleshooting 101 aka checked the fuse box. It was a blown battery thermistor fuse because I am an idiot. Lesson here is, when you take your amp out and youre dumb like me and leave the power cable attached to the battery and it hits the metal in your trunk, you're gonna blow a fuse. Whenever I see "charlieRobinson" make a new post/thread, I always think "what is it this time?!" and piss that reuben guy off, evidently..
Subject: Re: Red Battery Dash Light ON!